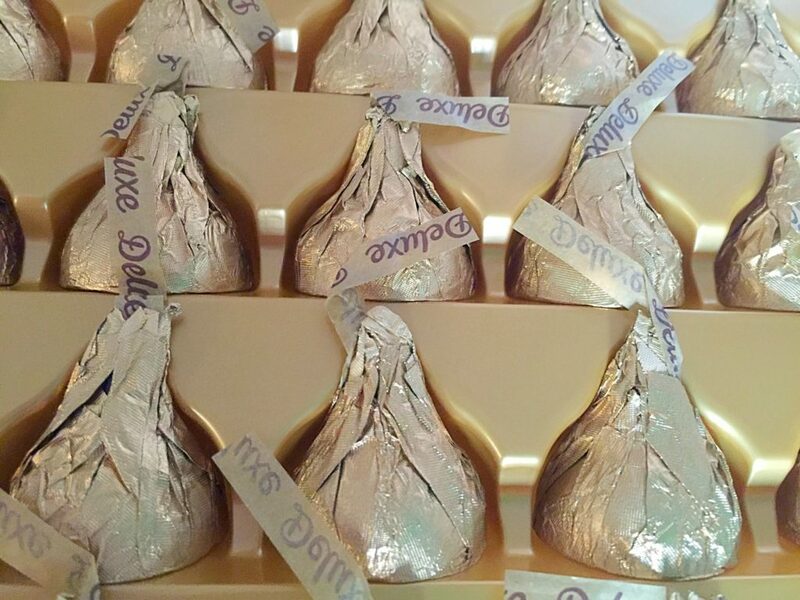 Say More this Holiday with Hershey’s KISSES Deluxe! Are you done shopping for everyone on your list yet? If so, congrats! I’m just getting started here at our house. I was going over my list last night trying to think of ideas for each person, when I realized there were a few people on my list that I’m having a hard time shopping for. They either already seem to have everything, or they are just really hard to shop for. So what do you buy for the person who seems to already have everything? Why not share your love this season by giving Hershey’s Kisses Deluxe? 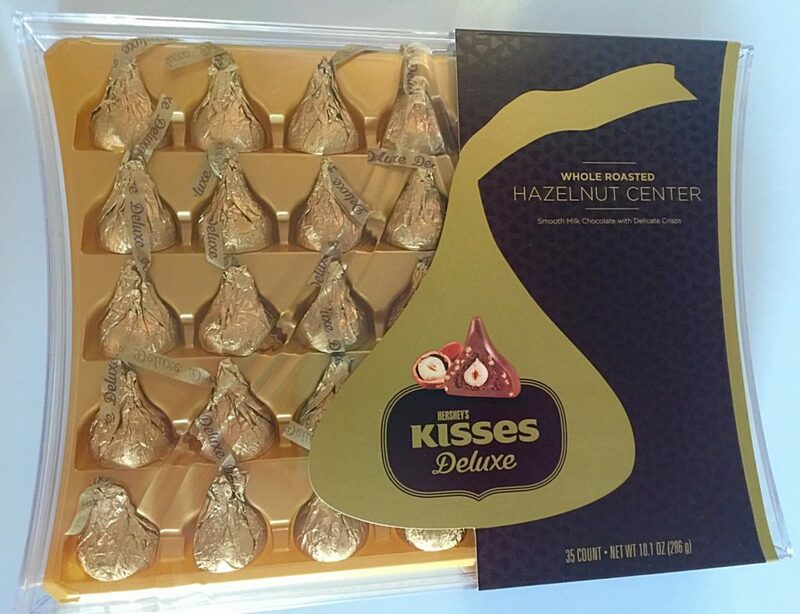 We recently got to try some of these Hershey’s KISSES Deluxe and they did not disappoint! I told myself I would only eat 2 or 3 and share the rest with my family. I might have enjoyed a few more than that ;). Hershey’s KISSES deluxe come in a beautiful box and are twice as big as normal KISSES! They have a creamy milk chocolate center with crisps, surrounding a roasted hazelnut and they are delicious! The premium packaging combined with the fact that these are amazing AND that they are Hershey’s KISSES Deluxe made my decision for me. We are definitely giving these to the loved ones on our list who just seem to have everything else. Times have changed since I was a kid. Communication now is largely through text and social media. While I love that these ways of “talking” to one another are wonderful and have their purpose, they can never replace the opportunity each of us have to really #SayMore to the people we love FACE to FACE. Being in the presence of those we love and looking into their eyes will always trump any other communication! We’ve made a goal this season to spend more time together as a family and give our digital devices more of a break. My 2-year-old helps me remember our goal every time he crawls into my lap, shuts my laptop, and smiles. “Read me a book!” he says. It is my Christmas wish this year that we never lose those connections with the ones we love. Life is short, time flies quickly, and all we really have is the PRESENT. I love the message in this video! Want to try the new Hershey’s KISSES Deluxe? It’s your lucky day! Hershey’s is hosting a contest for 50 boxes of their 75 piece gift box. You can enter through social media below. The contest closes on Dec. 14, 2015 so don’t wait around! What will you do this holiday season to #SayMore to the people you care about?